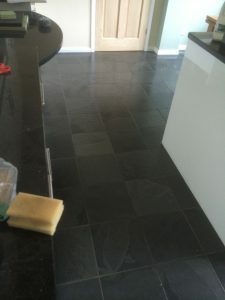 Slate floor cleaner Kent covering Maidstone , Medway, Tonbridge, Sevenoaks, Tunbridge Wells, Gillingham, Rainham, Canterbury, Ashford, Thanet. 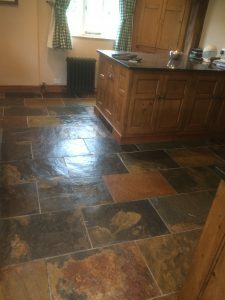 Slate flooring is a natural and durable material that can be used to create intricate and easy to maintain floor designs and responds very well to slate floor cleaner. The material can be shaped into tiles and installed in a manner that is very similar to that of ceramic tile, or formed into larger sections to create a more interesting rough-hewn pattern for the floor. Available in a variety of colours, slate flooring is an ideal option for high traffic areas, since the floor will show little signs of wear even after a number of years.